We’d love your help. Let us know what’s wrong with this preview of Beyond a Satin Sea. 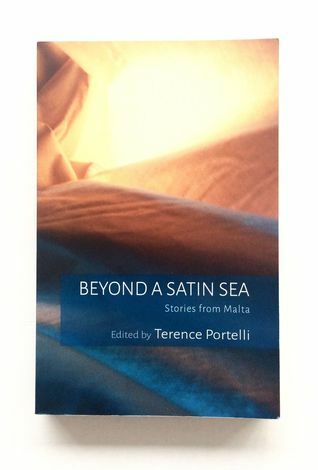 Stories from Malta by Terence Portelli. This exciting new collection brings together a translated selection of stories written by the recipients of the National Book Prize for Literary Prose organized by the National Book Council, Malta, between 2001 and 2013. These short literary works voice the shades and hues of the Mediterranean. A sun that sears the pale limestone and a deceptively calm sea have shaped the l This exciting new collection brings together a translated selection of stories written by the recipients of the National Book Prize for Literary Prose organized by the National Book Council, Malta, between 2001 and 2013. To ask other readers questions about Beyond a Satin Sea. Stories from Malta, please sign up.